Radical cleric Abu Hamza faces life inside a US prison after being found guilty of several terror related charges. Hamza had tried to portray himself as "a preacher of faith" but a jury was unanimous in its decision that the cleric had been involved in supporting terrorism. 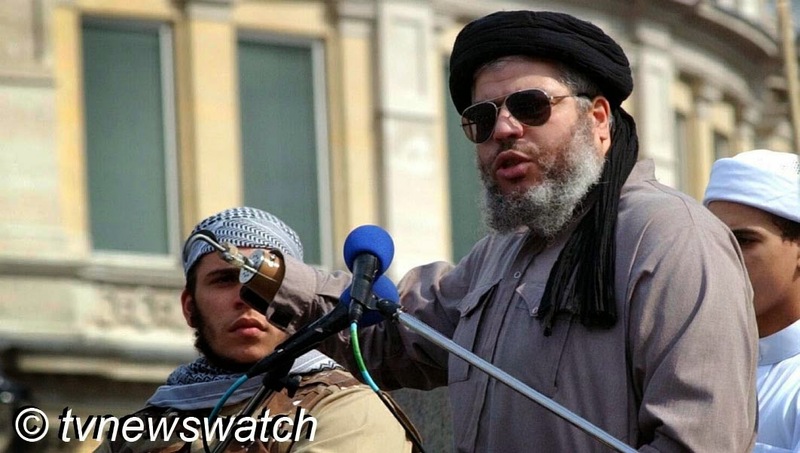 Known as Abu Hamza al-Masri, he was tried under the name Mustafa Kamel Mustafa having been extradited to the United States in 2012 after a long running legal battle by US authorities. Reacting to the verdict Britain's Home Secretary Theresa May said, "I am pleased that Abu Hamza has finally faced justice. He used every opportunity, over many years, to frustrate and delay the extradition process." The verdict was also welcomed by Prime Minister David Cameron who said he plans to reform Britain's relationship with the European court of human rights to prevent future extradition delays. Hamza came to prominence following the 2001 terror attacks in the US and was often seen at the Finsbury Park mosque in London where his radical preachings drew significant press attention. Due to his having lost his arms and been blinded in one eye, whilst supposedly tackling a landmine in Afghanistan, much of the UK tabloid press nicknamed him "Hook" in allusion to the fictional pirate Captain Hook. The truth behind his loss of limbs is open to debate with Hamza himself having changed his story several times. He has claimed he was maimed whilst fighting Soviet forces in Afghanistan. However, during his trial in the United States, Hamza stated that his injuries occurred whilst working with explosives with the Pakistani military in Lahore. Abu Hamza was arrested in May 2004 on a US arrest warrant and eventually flown from RAF Mildenhall to the US in October 2012. The 11 charges against him included allegations that he arranged satellite communications for a group of kidnappers in Yemen who carried out a deadly attack in which four hostages were killed [Justice.gov]. He was eventually also found guilty of conspiring in 1999-2000 to establish an al-Qaeda training camp in Bly, Oregon, among other acts. In addition he was convicted of various crimes including hostage taking, conspiring to provide material support to terrorists, and abetting religious war in Afghanistan. Hamza, who has already served a UK prison sentence for using his sermons at the Finsbury Park Mosque in London to incite murder and racial hatred, is due to be sentenced on the 9th September and could face a life term in a federal prison. While many people have expressed relief and cheered the successful conviction, there has also been anger that the extradition and trial took so long. Survivors of the Yemen hostage situation were particularly scathing in their criticism. Laurence Whitehouse and his wife Margaret were part of a group of 16 Western tourists ambushed by armed men in December 1998. Margaret and three others, including two more Britons, were shot dead after being held for 26 hours as the Yemeni Army mounted a heavy-handed operation to free them. Whilst pleased at the verdict, Mr Whitehouse told The Telegraph, "This has taken a long time, even though there was evidence of his involvement early on." Another hostage, Eric Firkins, 70, also expressed concern that the Islamist preacher had been allowed to breed hate on the streets for so long. "I was angry the Government was that sensitive to racial issues that they didn't want to antagonise Muslims by arresting the preacher." Meanwhile there have been allegations that British security services failed to act on information received about Hamza and his terror activities [Telegraph]. However Anjem Choudary, claimed Abu Hamza was a "victim of the war on terror" and insisted the preacher had a "divine permit" to lie about his role as an alleged MI5 informant. Choudary, a British Muslim social and political activist, often labelled an extremist by the UK press, insisted that much of what had been said about Hamza was propaganda. "Sheikh Abu Hamza is the latest in a long line of Islamic activists and intellectuals who have been targeted by the American and British regimes in the war on Muslims. I believe he will gain paradise," he told the Telegraph.